Worried about which hairstyle to carry? 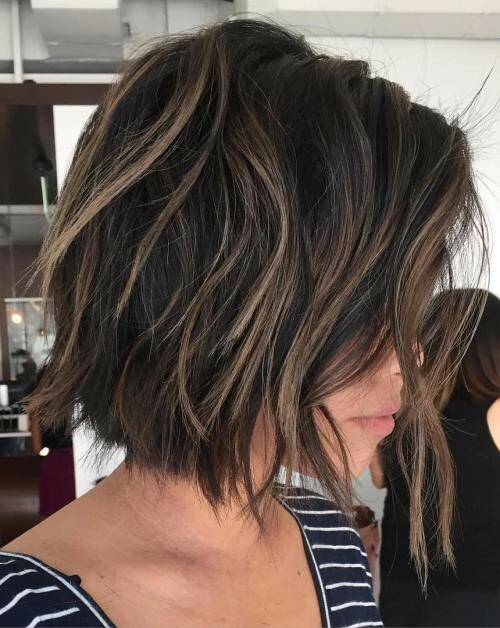 Confused over long layered or short hairs? Well, here we get the solution for you. 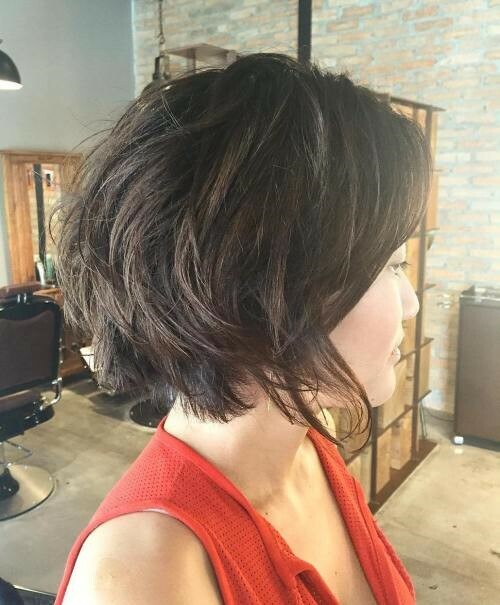 Short layered hairstyles are really hot at the moment in the fashion and beauty industry. Some of the gorgeous short hairstyles can be sassy, sultry, sweet or chic and will make you cut your long locks. Here you are going to get an insight into 15 different short textured hairstyles that are currently flourishing on the trend scene. Short hairstyles are always classier ones and layers on short hair enhance the texture and volume of your cropped locks. So, what are you waiting for? Add that extra amount of sass to your hairstyle that looks awesome in any age. 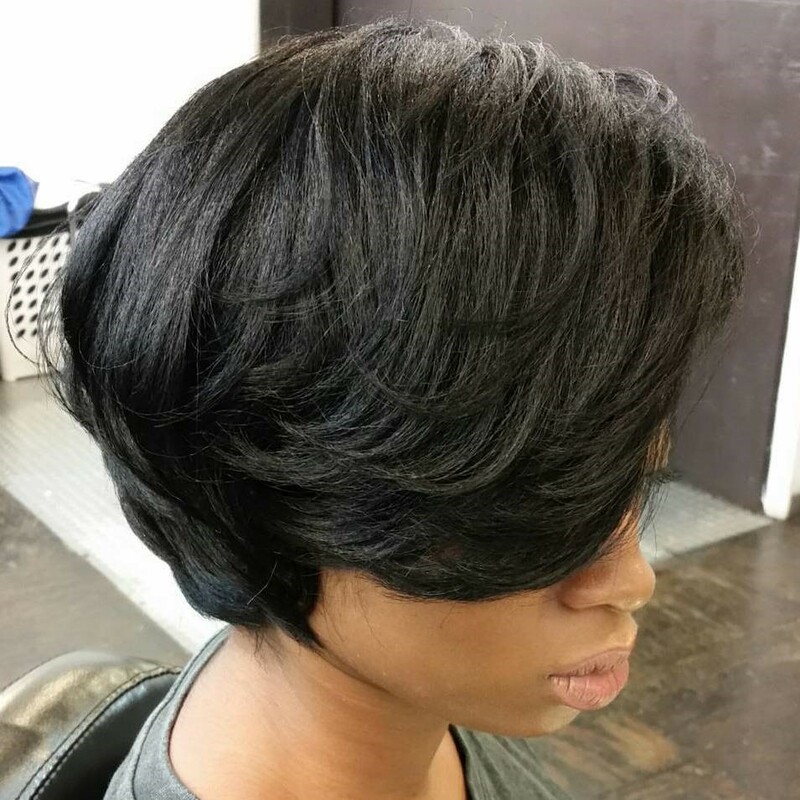 Get inspired here and imagine how you can select your current short hairstyle! 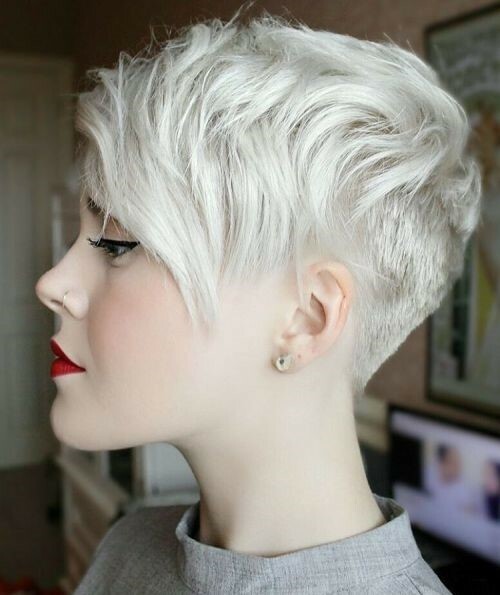 A style that is youthful and timeless at the same time is this gorgeous choppy pixie. 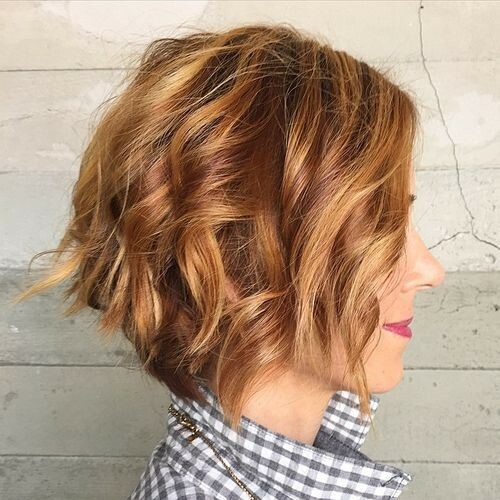 This cut is the picture-perfect blend of messy and sleek. You can shine in with any dress with this look. You can also rely on a texturizing product for some bedhead-inspired styling with this haircut. Finding short hairstyles for women is no more a hectic task. We are here to make this simpler. 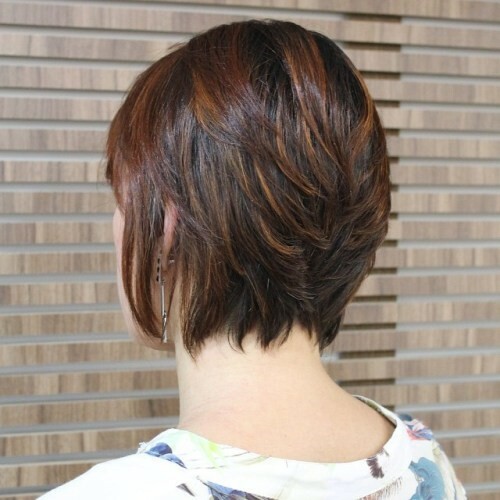 Try stacked pixie bob hairstyle for short hairs. It is quite simple, convenient and easy to maintain. As you can see, bangs are left longer at the front and the back tresses are short enough to show off ears. If you are vexed up with your thick wavy hair with coarse texture, then this one is perfect for you. Just find a stylist how to layer the cut removing thickness in the ends while maintaining your natural volume. 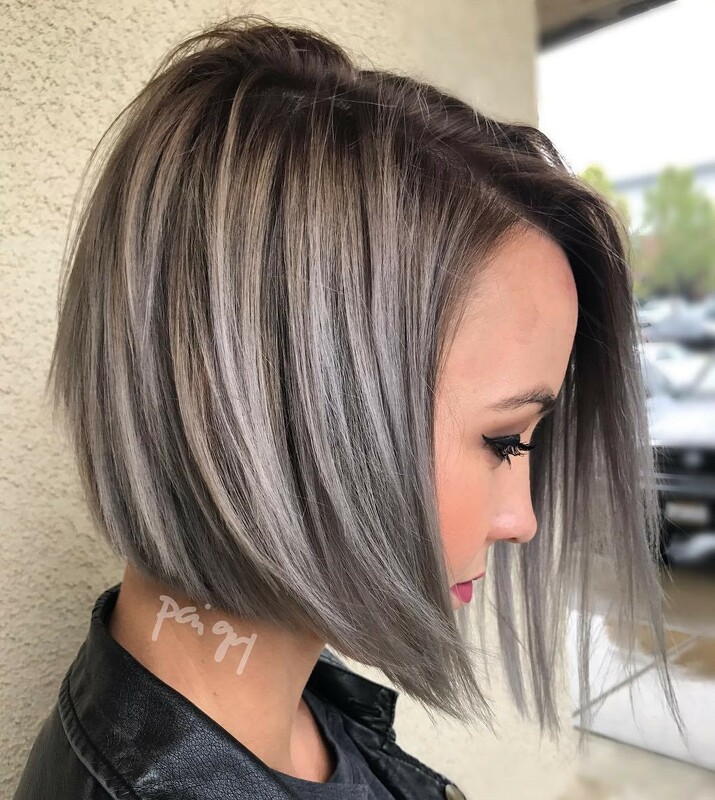 The silver hair look is every time a stunning trend. 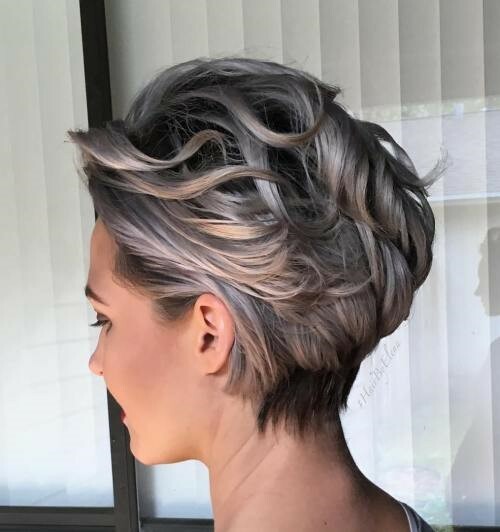 So if you want something unique, short silver curls would be amazing to rock this festive season as it is one of the best curly short hairstyles. Flares and waves add glamour to this look. While making this, work on the tops layers. 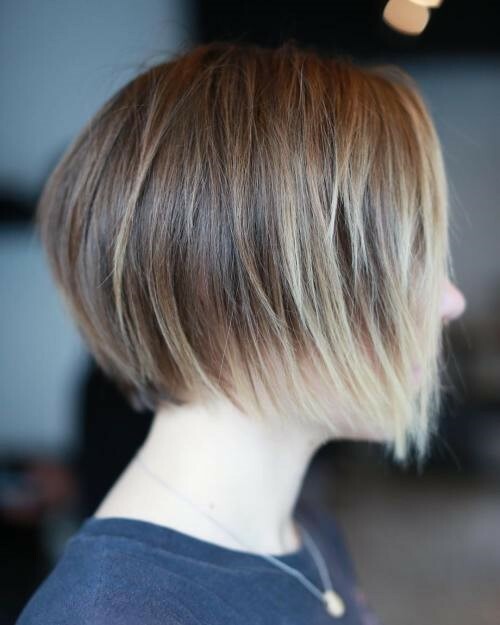 Short hairs with layers are often open to the opportunities of experimenting with highlights. 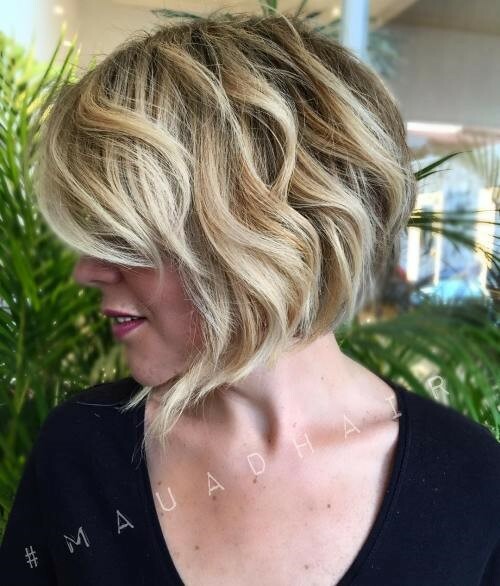 Some sandy highlights give a modern vibe to your haircut while accentuating your curls and waves. So just try it now! 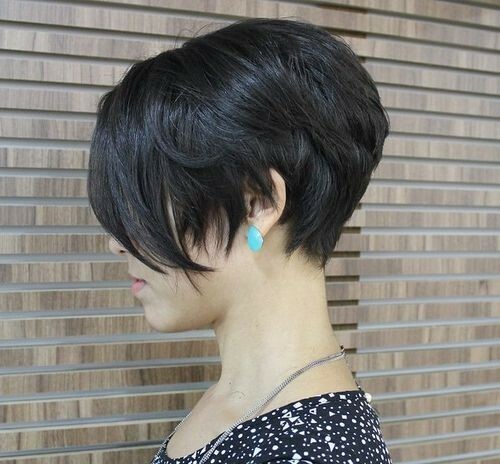 This gorgeous haircut features tapered sides and nape topped with medium and long choppy layers. If you want to make it adorable with a punk edge, platinum is most preferred. It is the edgy short hairstyles carried by youngsters. 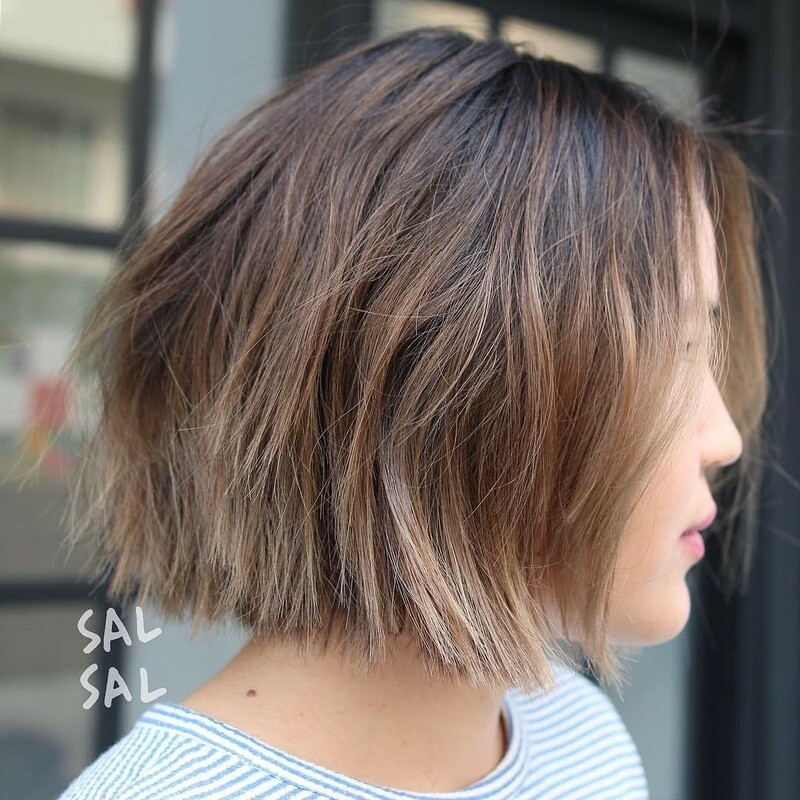 Are you in search of short layered haircuts that are sleek and easy to style? Then this inverted bob style is the best alternative. An angle for the front pieces and few shorter layers in the back help to add volume and height. 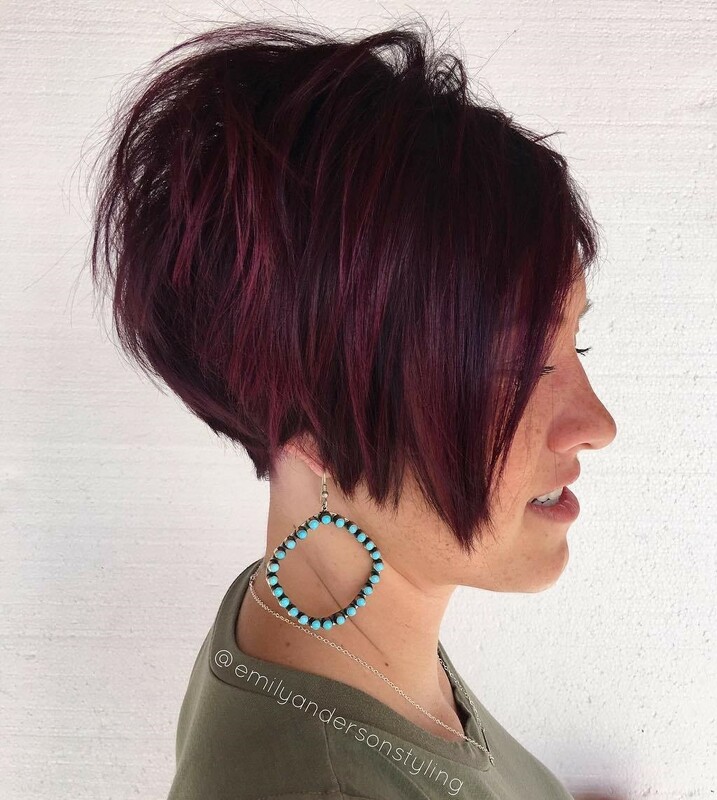 If you talk about one of the cute hairstyles for short hair, we are presenting this adorable yet sassy modern bob. 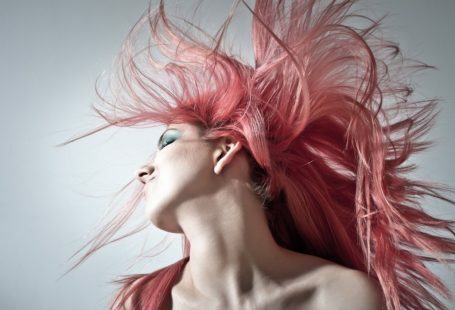 Aim to make your hair look thicker? Ask your stylist for a blunt choppy cut. This adds volume to your strands. One could claim it to be one of the best short hairstyles for fine hairs. 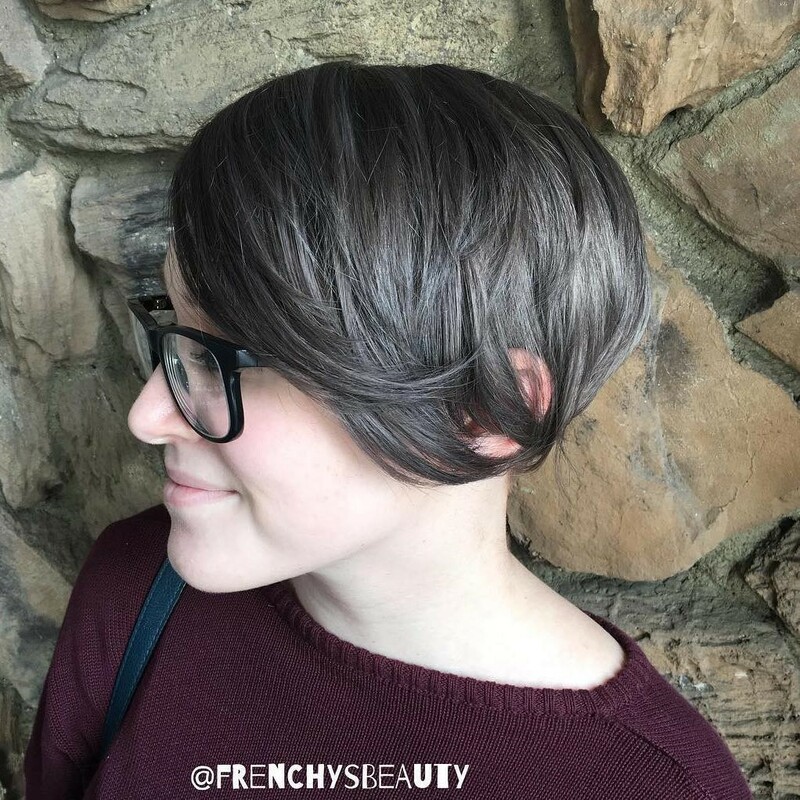 Short hairs, long pixie, yes an adorable combination! It’s long enough to play with at the front and short at the back to show off your beautiful turtleneck. This can even make you look longer with short layers at the back. No, no…its not your grandma’s grey look, but a sleek one. This chrome colored cut with layers is a fresh option for the young lasses who are into the rock bands’ profession. Best part? It’s easy to manage, just your fingers. If you are seeking chic and easy hairstyles for your black and straight hair, consider this short, feather- layered look. This perfect hairstyle gets you through several days of a sophisticated look. 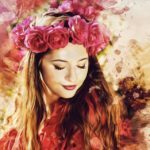 If you have naturally straight hair or slightly wavy then this hairstyle is incredibly easy to carry with them. Don’t you ever ignore the brunette short hairstyles when it comes to shine among mass. The key to successful layered shortcut is to find the silhouette that goes with your face. This hairstyle gives you the grungy and urban feel. Some cheek slimming side bangs and curled layers simply look great framing any face shape. When it comes to styling, add a few quick curls and you are on to become show stealer with this blonde short hairstyle. Short and wavy hairstyles are great to be carried by a modern lady. You will love to have this caramel toned brown blonde chop in your hair. 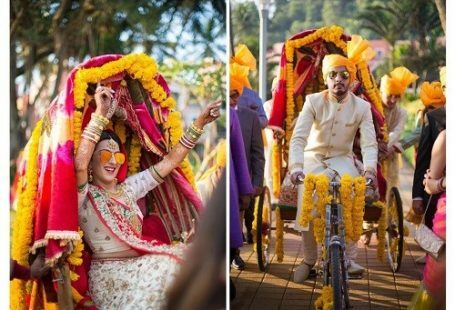 With the help of iron or rollers, you can make it wavier. Don’t worry about the uneven layers at the bottom as this makes your style just go on! Here we end our list of classy and sassy short hairstyles. You can see throughout the entire list that short hairdos are great to have with hair of any texture. 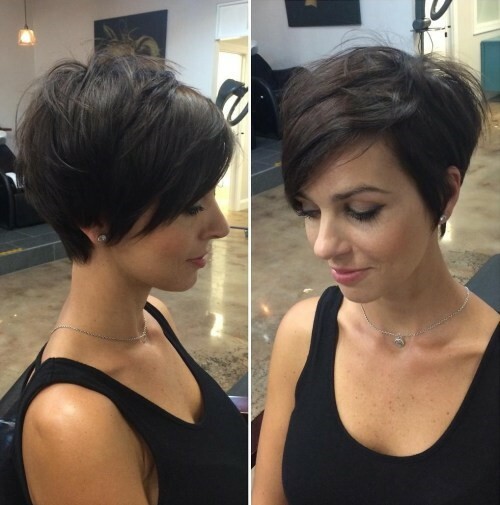 Where to get stylists for these elegant short hairstyles? Hope you liked them and going to try the best one of all. Just spice up your hair with any of them. 8 Fab Hairstyles to Give Volume to Your Thin Hair! 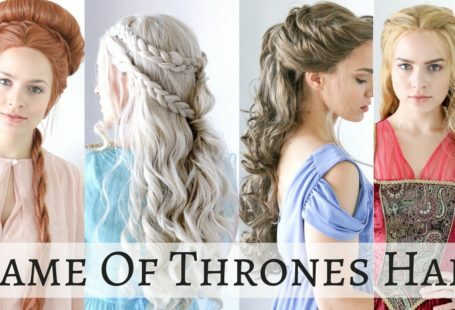 Game Of Thrones Inspired Hairstyles and Where to get them !